The number 1. There are many who wish to be number 1. Those who wish to carry the crown. There are many who wear the number 1 on their jerseys proudly. For Anfernee Hardaway, he knew he was destined for greatness. Compared to Magic a bit early on due to his size and quickness, but his beginnings were still a bit humble. 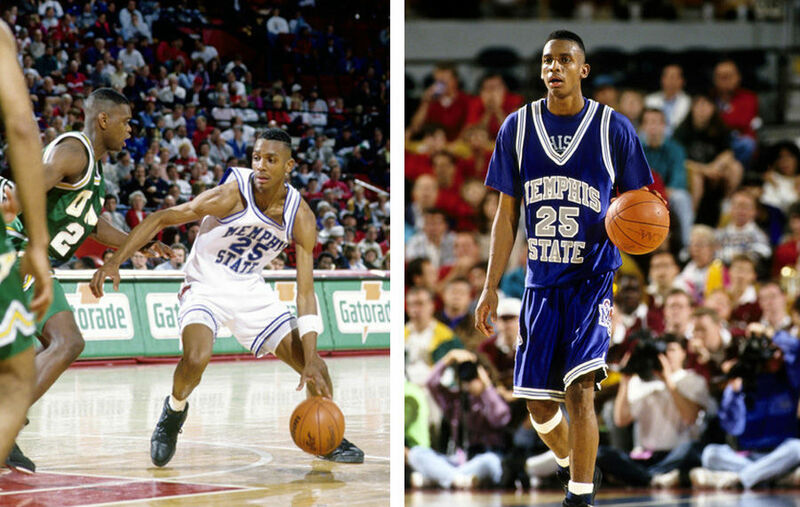 Attending Treadwell High School in Memphis, his hometown, Penny would leave his mark in his senior year, averaging 36.6 points and 10.1 rebounds. 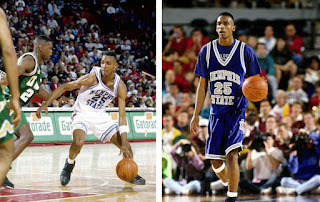 With those type of numbers, Penny got his way into the University of Memphis(Memphis State University was the previous name), and his junior year proved to be his breakout year, as he averaged 22.8 points a game, was named an All American again, and became a finalist for the Naismith College Player of The Year and John R. Wooden awards. Penny decided to forego his senior season in college and enter the 1993 NBA Draft, where he was selected third overall by the Golden State Warriors. 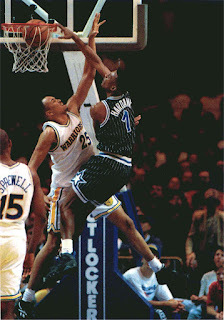 However, a trade with the Orlando Magic landed Penny with them, and teamed up with Shaquille O'Neal. 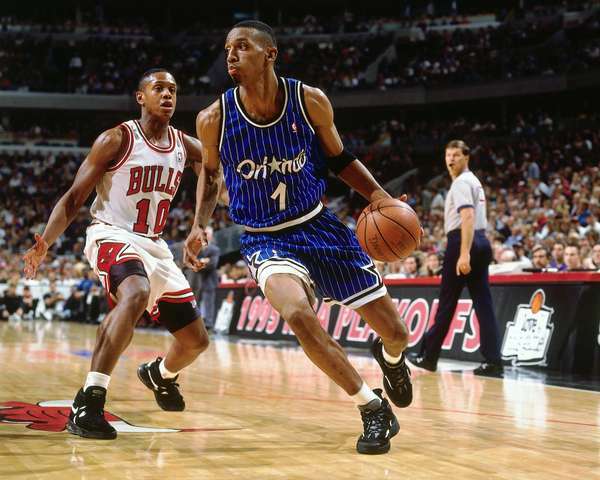 Penny started off his rookie season learning how to play the point guard position effectively from Scott Skiles, though he played as the shooting guard initially for the Magic. He eventually over the point guard duties for Skiles, and he began to shine, being named to the NBA All-Rookie First Team and ended up as runner up for Rookie of The Year to the man who the Magic traded away for him, Chris Webber. -Penny had a hell of a rookie season, but his second season was where the chemistry between himself and Shaq improved, and he became a certified star in his own right. The Magic won a franchise record 57 games, with Penny averaging just shy of 21 points a game and being named a starter for the NBA All Star game, as well as making All NBA First Team. The Magic were on fire going into the playoffs, and ended up winning the East, but unfortunately they would run into the wall that was the Houston Rockets in the NBA Finals in a 4 game sweep, but Penny and the Magic would not stay down for long. -The Magic came back with their intent on getting a championship, and Penny seemed focused as ever. He was named NBA Player of The Month in November, once again was a starter in the All Star Game and named to the All NBA First Team yet again. He finished the year with 21.7 points a game, was 5th in steals, and was third in the MVP voting. The Magic bested their previous franchise record by getting a huge 60 win season, taking a ton of momentum into the Playoffs. Unfortunately, the Bulls would put an end to this great season in the Eastern Conference Finals, but make no mistake about it, this is Penny's best year, I would say. After this season however, Shaq would leave and head to the Lakers, causing Penny to be the lone star on the Magic...how would he handle it? -The 1996-1997, 1997-1998, and 1998-1999 seasons all featured Penny with a lot on his shoulders. 1996-1997, he struggled with injuries, but managed to get the Magic to the playoffs, get to the All Star Game and made the All NBA Third Team. 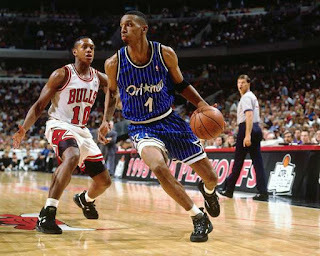 In 1997-1998, he had a devastating left knee injury and missed the majority of the season as well, before returning for the shortened 1999 season, leading the Magic to the playoffs, but they came up short. This was Penny's last season with the Magic. -Penny ended up on the Phoenix Suns for 1999-2000 season, and despite injuries to his foot, he helped contribute to the Suns gaining a 53-29 record and 5th seed in the playoffs and they actually beat the defending champs San Antonio Spurs before losing to the Lakers. The 2000-2001 season was disastrous for Penny, as he missed 78 games that season, but he bounced back for the 2001-2002 season, managing to get back into decent form to average over 12 points a game, despite coming off the bench for a good amount of it. 2002-2003 season saw Penny work his way back into the starting lineup but he still struggled with injuries, missing 24 games. The Suns would make the playoffs, but lose to the Spurs in the first round. The following season would see him traded to the Knicks, where he play an insignificant role for a few seasons, before ending back with the Magic, only to have his contract waived, and ending up with the Miami Heat to close out his career. Penny is legendary regardless, but it makes me wonder what could have been had he not been riddled with injuries, but that's just yet another "what if" story. His legacy is solidified in the game, his shoes were iconic, and we can't forget the Lil Penny Nike Ads as well. Remember number 1.